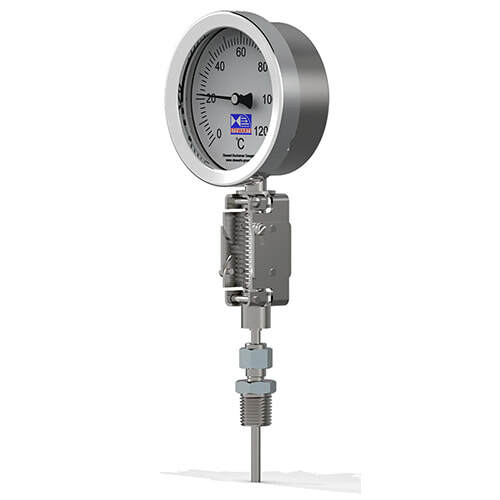 An high technical specification and wide range of standard features make this thermometer the obvious choice for a wide range of process and engineering applications. 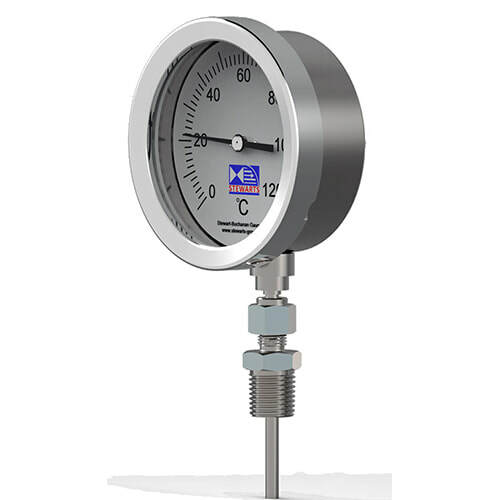 Bi-Metal Thermometers with Rigid Stems are suitable for measuring and monitoring temperatures directly from the source of the heat. Bi-Metal Thermometers are often used in Chemical and Allied Industries such as Offshore Oil & Gas where the atmosphere is corrosive, and severe due to weather conditions.